Ravi Anupindi is Colonel William G. and Ann C. Svetlich Professor of Operations Research and Management at the Stephen M. Ross School of Business; founding Faculty Director of the Center for Value Chain Innovation; co-Director of the Technology and Business Innovation Forum at Ross and Chair of (UM) President’s Advisory Committee on Labor Standards and Human Rights. He is a Research Fellow at the William Davidson Institute and faculty associate with the Erb Institute and GlobalREACH. He was the (founding) Faculty Director for the Master of Supply Chain Management Program from 2008-2015. He was also a visiting scholar at the Graduate School of Business, Stanford University (Fall 2010) and the Indian School of Business, Hyderabad, India (Winter 2011). Prior to joining the University of Michigan in 2002, he taught at the Stern School of Business, New York University (2000-2002) and the Kellogg Graduate School of Management, Northwestern University (1993-2000). His main research areas include supply chain management, strategic sourcing, supply chain risk, lean operations, supply chain sustainability, value chains for economic development and health care delivery in low and middle income countries. He has worked with several companies on various issues in operations and supply chain, sourcing, supply chain visibility and traceability and new product launch processes. Under a USAID grant, he has assisted University of Johannesburg in South Africa develop a graduate degree program in Supply Chain Management. 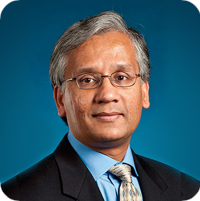 Ravi is a member of Institute for Operations Research and Management Science (INFORMS), Council for Supply Chain Management Professionals (CSCMP), Production and Operations Management Soceity (POMS), Institute for Supply Management (ISM), Supply Chain Thought Leaders (SCTL) group, and Supply Chain Risk Leadership Council (SCRLC). He was a member of the advisory board and executive committee for the People That Deliver Initiative for Global Health from 2012-2015. He now serves on the board the William Davidson Institute. Ravi Anupindi has 15 products available, viewing 1-10. Voluntary Producer Responsibility: Carton Packaging Recycling in U.S.
Sign up to receive alerts about new products and other news! © 2019 WDI Publishing, All Rights Reserved.